Choose a job posting package. 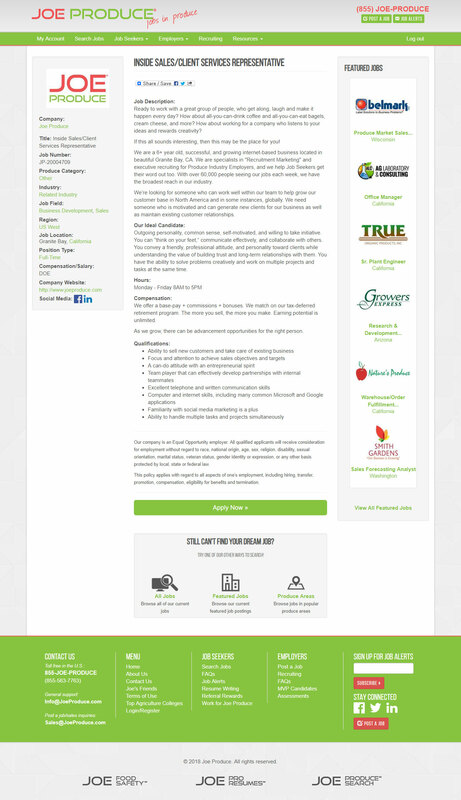 Create a job description, company profile, and company logo (we also offer unbranded confidential job postings). Send us your job description, company profile and logo via email or our online form. We'll create your employer profile and post your job ASAP. No time to read or scroll? Just click Step 3 and contact us for immediate assistance. We also offer bulk pricing for all job packages and are always running specials and promotions! A great job description includes responsibilities and required skills and experience. It also makes the job and company interesting. This does not have to be the total HR/legal job description at this "marketing" stage. Here is your opportunity to sell the company, culture and other compelling attributes. What are the best parts about this job? Answer these questions with your content. Please send us the highest quality logo as you can. Any image format is acceptable. We'll display your company logo on the job description, your employer profile, print ads and Job Alerts newsletters too. Want people to see it more? Ask about Banners, Boosts and Featured Jobs! Choose how you want work with us. Call, email or use the online form. Receive fast, friendly, and knowledgeable service within minutes*. *Our regular business hours are 8AM to 5PM Pacific Time, Monday through Friday. Other days and times are okay too, but our response time is not as fast. Once your job and profile have been created and you have approved your posting, your posting will be live and you'll start receive pre-screened resumes to the email(s) of your choice, as well as on your employer dashboard. 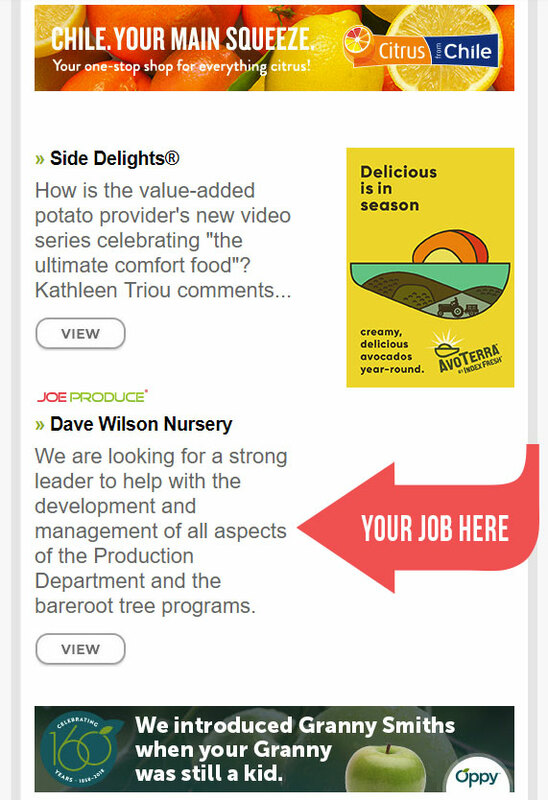 Reach thousands of produce people each week with our site, Job Alerts emails, social media and our media partners. Work with dedicated real people who will help you succeed. 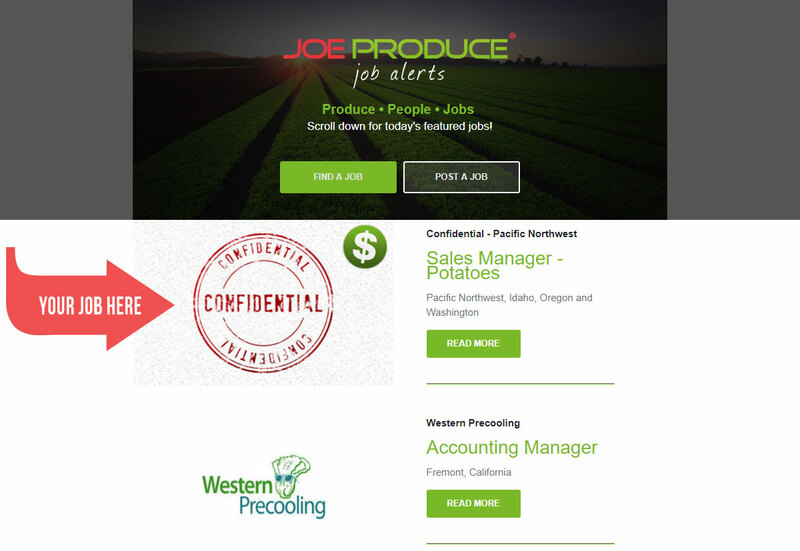 "Of all the search firms I've ever worked with, JoeProduce tops my list." "Your services have been fantastic. I will be sending over one more listing here in the next day or so. Thank you again for all you do." "It was fantastic! We were able to source the perfect manager through your website. Thank you for all of your help." "Your team is so easy to work with and they produce such positive results. As opportunities arise, we will continue to reach out." "Thank you for providing a fantastic platform." "Thank you Rex, it has been very nice to work with your team!" 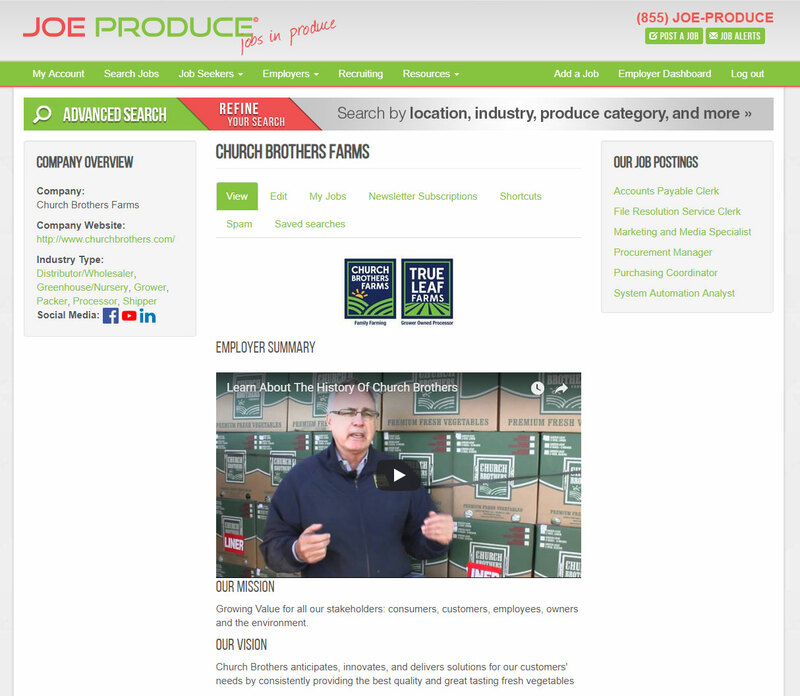 "We filled the position.... Joe Produce produces! If I am ever in need, you’re my company!" 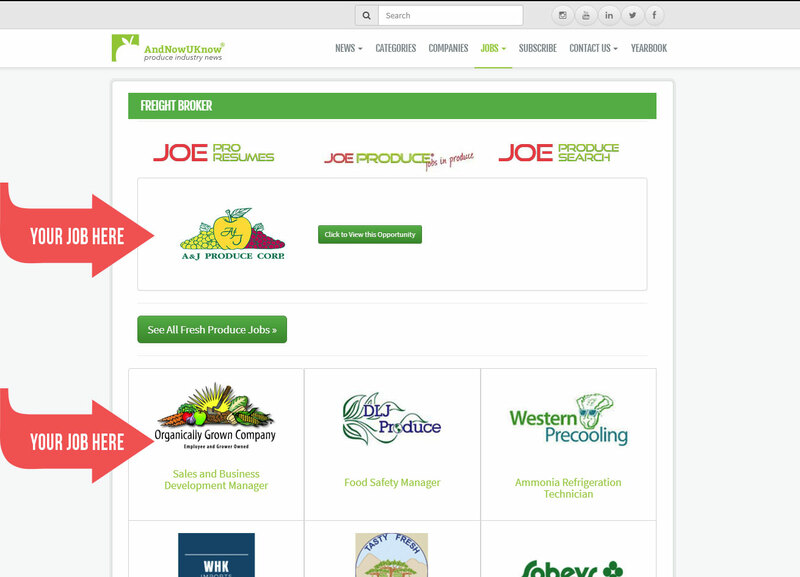 Thousands of companies have found great produce people using Joe Produce, you can too!